> SAP was started in 1972 by five former IBM employees in Germany. It stands for Systems, Applications and Products in Data Processing. > SAP SE, a global software company, is one of the largest vendors of ERP and other enterprise applications. > In 1973, SAP released R/1, a financial accounting system. R/1 ran on IBM servers and DOS, and it had a single-tier architecture in which presentation, applications and data were on one platform. > In 1992, SAP released R/3, which represented a switch from mainframe computing to the client-server model, and from a two-tier to a three-tier architecture, in which presentation, applications and data were housed separately. R/3 was a critical product for SAP that launched the company onto the world stage. > Most people relate SAP with its ERP offering. But SAP now offers variety of products to address varied needs of an organization. > ERP term used for Software that controls whole organizations different departments. JD Edwards is popular for accounting Software, People is popular for HR Software, Sieble is popular CRM Software, and SAP is popular for all Modules. Note: SAP is the number one vendor in ERP Solutions. > Enterprise Resource Planning (ERP) is built to organizations belonging to different industrial sectors, regardless of their size and strength. > The ERP package is designed to support and integrate almost every functional area of a business process such as procurement of goods and services, sale and distribution, finance, accountings, human resource, manufacturing, production planning, logistics & warehouse management. > Module: Each Functional division within an organization is divided into modules. > You take any Enterprise like Chemical, Auto-mobile, Pharmaceuticals etc…they have various divisions/departments like Materials, Marketing, Sales, Accounts, Finance, Human Resources, and Services etc…to automate/computerize these divisions/departments a well defined ERP software like SAP is required. > SAP was started with financial application, modules such as Logistics, HR were added later on. viii) QM (Quality Management) Etc..
SAP is a back-end-free ERP system which co-operate with many database companies. That means companies have many choices. The database is common for all modules and avoids duplication of maintaining master records. For e.g. the customer records will be maintained in SD module like customer code, customer type, Credit/payment terms, address etc. The same would be used by the FI module while perusing the customer accounts or entering the receipt of payments. Similarly the sales manager can view the customer balances in the FI module for follow up with the customer. The following Database can be used in SAP software. The functionality/programming technique is same for all database system. SAP can be installed on many system platforms. The functionality and programming technique is same for all systems. 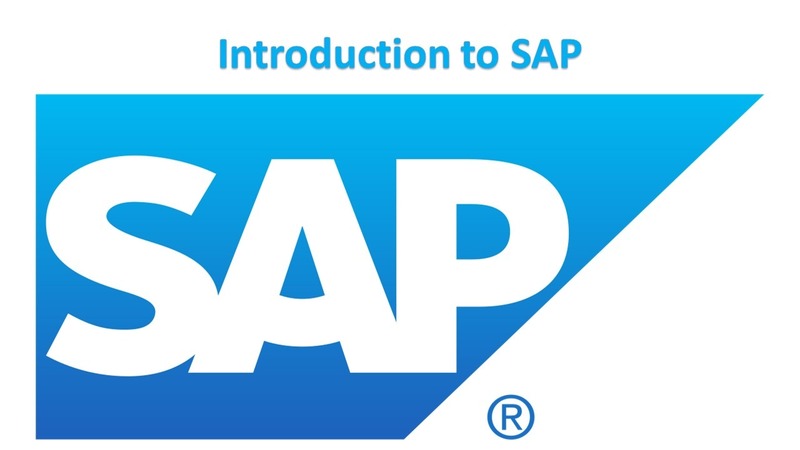 Note: Programming knowledge is required for SAP Developers Job, however ERP Domain knowledge is required for all types of SAP Jobs. > Many Organizations implement SAP ERP to manage their business operations efficiently. SAP Testing is about testing the functionality of various SAP modules and to ensure that they perform as per the configuration. > SAP Testing is not a different kind of Testing, It is same as Software Application Testing however here the applications is SAP ERP. At whatever point you make a change in SAP Software, Test Cases need to be created to check the new functionality. > SAP Testing can also involve – Performance Testing. (to check speed of SAP Applications). ii) Functional knowledge of the Module being Tested. Tags: Benefits of SAPOverview of SAPSAP CertificationSAP ERP SoftwareSAP ModulesWhat is ERP?